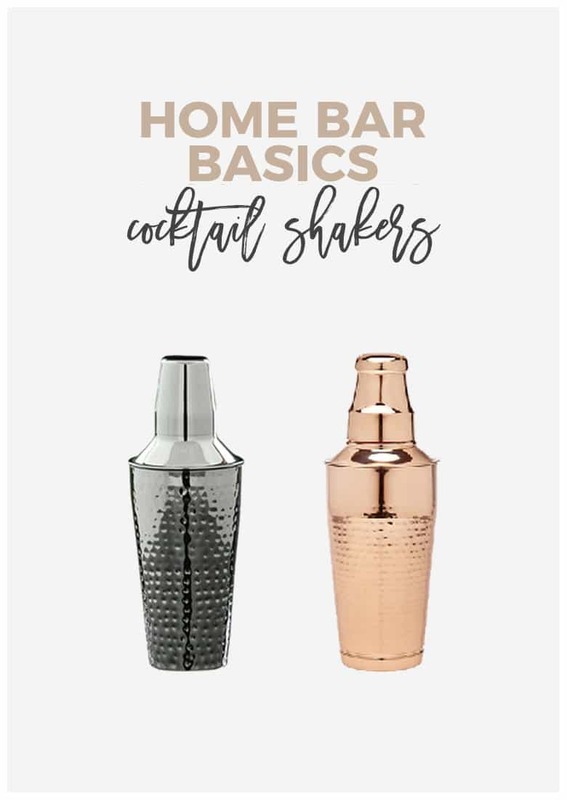 These cocktail shakers are perfect for your home bar. In a wide price range, there is a cocktail shaker out there for everyone! There is something to be said for having a well-stocked bar. Something else can be said for having functional AND beautiful bar tools. Sure, we all have to start out somewhere. One day I’ll show you a pic of my first muddler. But, as I have “grown-up” and started caring what my home looks like, the aesthetics of my home bar matter too. Functional is no longer enough. I need my bar tools to match everything in my home. But I think you should have a nice cocktail shaker too. The cocktail shakers below come in a wide range of prices so there is something for every budget. If you are getting married soon, a few of the more expensive ones would fit nicely on a registry. All of the links below are affiliate links so if you do decide to purchase any of them, we will receive a small commission which helps us cover the costs of running this website.